I've finished packing for Malta and boy was it a struggle! I just want to be there now! Today has been a really good blogging day though, I've gained two more followers on Twitter and four more on here! Anyway onto the post! 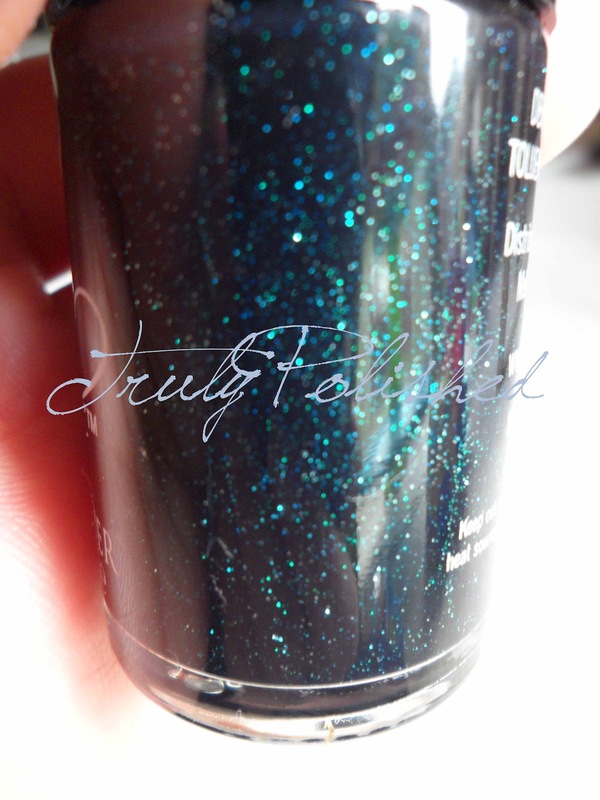 I got some nail mail yesterday and luckily it stopped raining for five minutes so I could take photos. My poor post lady must hate me. We've had so much rain recently and she has to patiently wait for me to find the door key to unlock the door to take my parcel off her! I don't think she cares how excited I am to get my parcels, especially where there's no customs dues to pay!!! 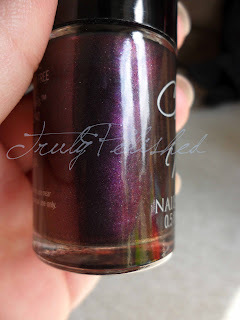 I bought three polishes in the $5 sale at Cult Nails a couple of weeks ago and couldn't wait to get them. I bought Let Me Fly, Enigmatic and Living Water, as well as a backup of Seduction. I love it and don't want to end up missing out once they stop selling it (I also have a backup of Toxic Seaweed - love the limited editions clearly!). Originally I wanted Hypnotise Me instead of Enigmatic but by the time I logged on (about an hour into the sale) it had sold out. Hopefully I can get it in the second backorder $5 sale, whenever that will be. 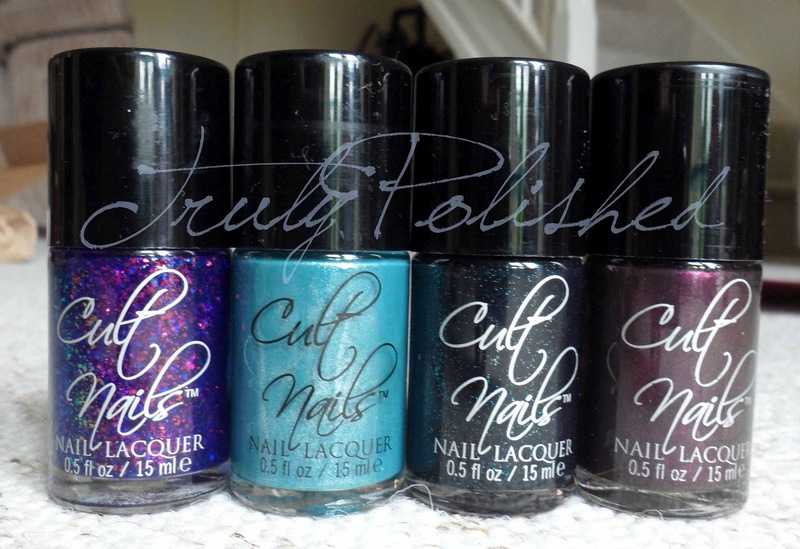 I can't wait to try these polishes out! I have Living Water on my toes now ready for my holiday and I'll swatch them all to upload onto here when I get back from Malta. Don't worry, I won't be deserting you all while I'm on holiday, I'll be posting every other day instead of every day. This is our first holiday as a family (I've travelled to the Netherlands with Caleb already but we've never travelled all three of us together) so I want to dedicate most of my time to my family! Don't forget, if you're reading this and you're not a follower, join now to take part in my giveaway!!!!!! Holy crap, what do we have to do to be eligible for the giveaway? All you have to do is be a follower of my blog! I'm not including Twitter followers because I have companies etc on there. What I'll do is type the name of every follower into the random.org list randomizer and let it pick a winner, then I'll take a screenshot of that and post it here. I think that's the fairest way to do it and it's easier than writing each one down and pulling it out of a hat! I'm open to other ideas though! Seduction looks amazing! 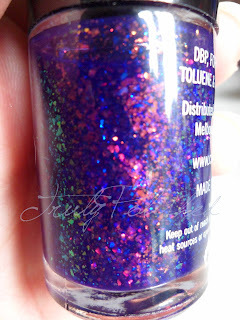 Lemming like mad now... need flakies! It really is beautiful! Get it while you can because it's limited edition! 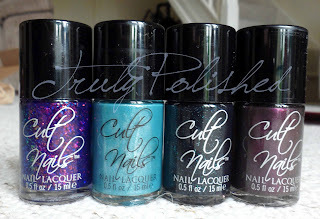 I so want some Cult nail polishes! I really need to invest very soon. Awesome giveaway Faye. I hope to see you in instagram soon! 10 more followers to go! yayyyy!! You really do have to! If you follow them on Twitter you can keep up to date with the news. Seeing as loads of their colours were in really low stock when the $5 sale started they're having a backorder sale when they have loads of stock again. So if you follow them it'll be easier to find out when the sale will be, then it'll definitely be time to invest, I'll be expanding my collection for sure! As for Instagram, I'll be sorting it out when I get home!! !